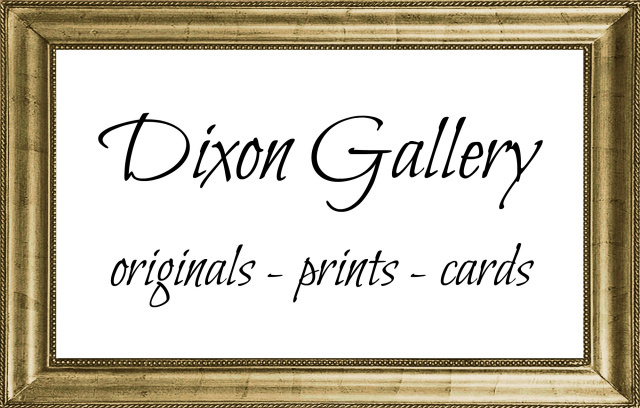 Dixon Studio offers custom, catalog, and antique statuary. Custom works, designed and created to your specifications, can be made any size, in a variety of styles, materials, and finishes. 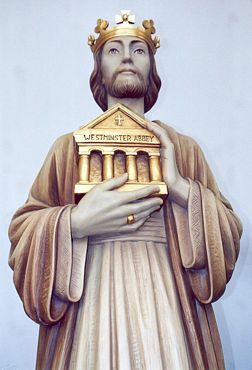 Whether you are looking for a lesser known saint or a contemporary interpretation of a traditional figure, the studio can create a statue specifically suited to your church's architectural style and artistic tastes. The stone finished resin blocks are framed in wood and total over 16' tall. Surrounding the crucifix are dozens of stained glass angels in windows created by Dixon Studio which separate the main worship space from the daily chapel behind it. Catalog pieces, from the finest sources in Europe and America, are available in many sizes and materials, hand carved or cast. 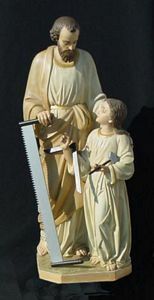 Small devotional pieces, life size statues, and works of heroic proportions are available in wood, marble, bronze, and fiberglass in a variety of styles, finishes, and prices. The studio handles all details of shipping and customs and can deliver and install all statuary. Dixon Studio works with a wide network of churches, liturgical consultants, and salvage brokers to source quality vintage statuary from closing or renovating churches. Although not always in pristine condition, the studio can restore antique statues to their original beauty. Please note that, as with all our products, Dixon Studio sells religious statuary only to churches and religious institutions. 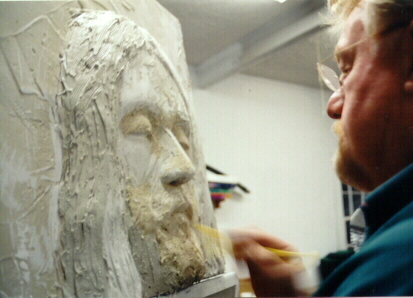 that created the church's existing Pieta statue.